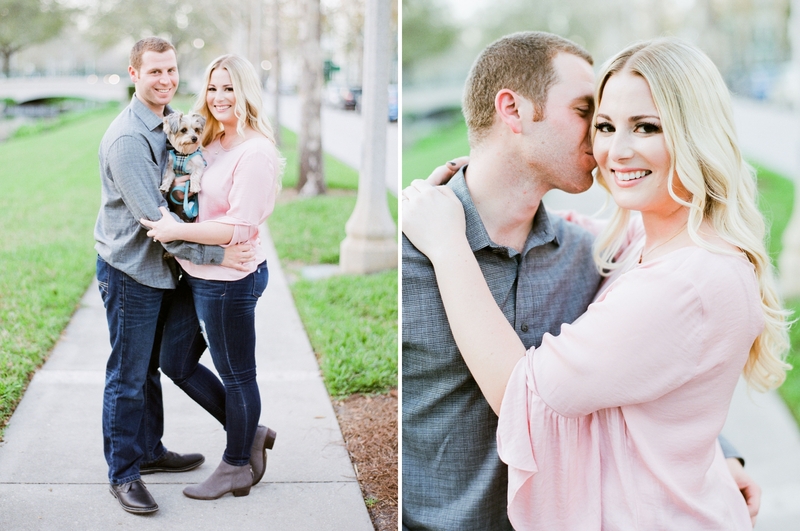 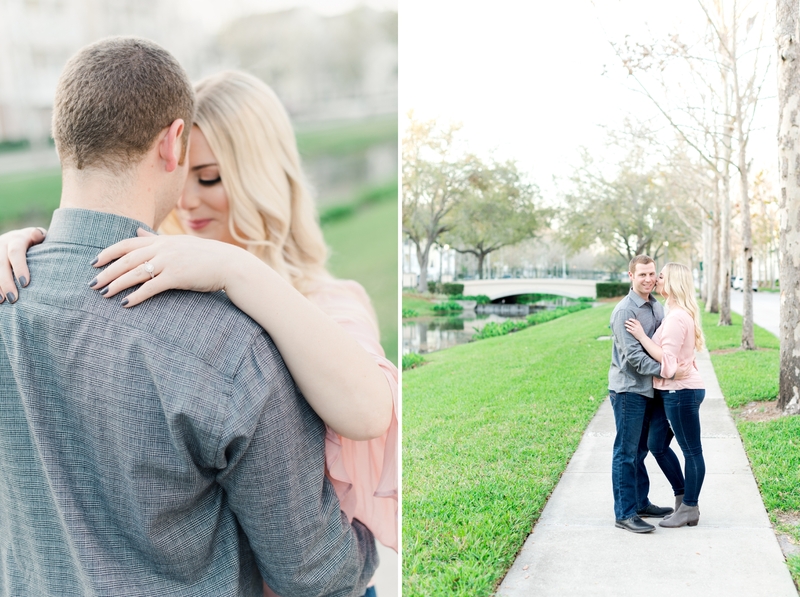 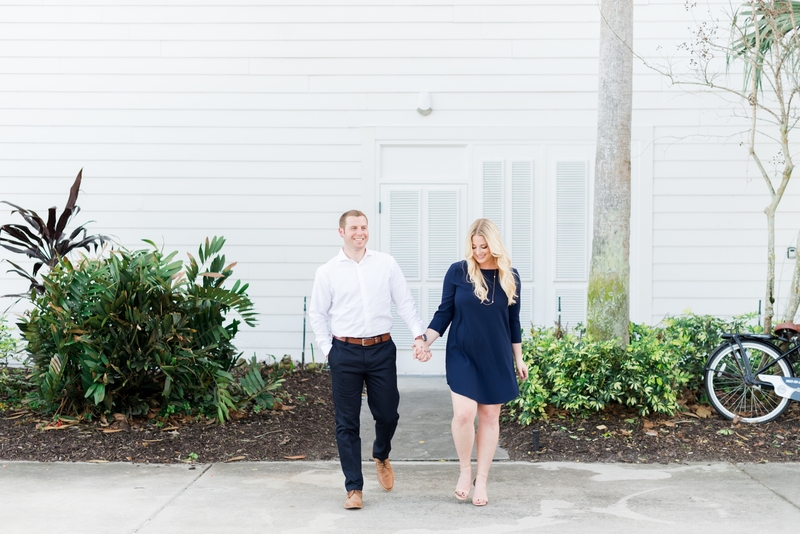 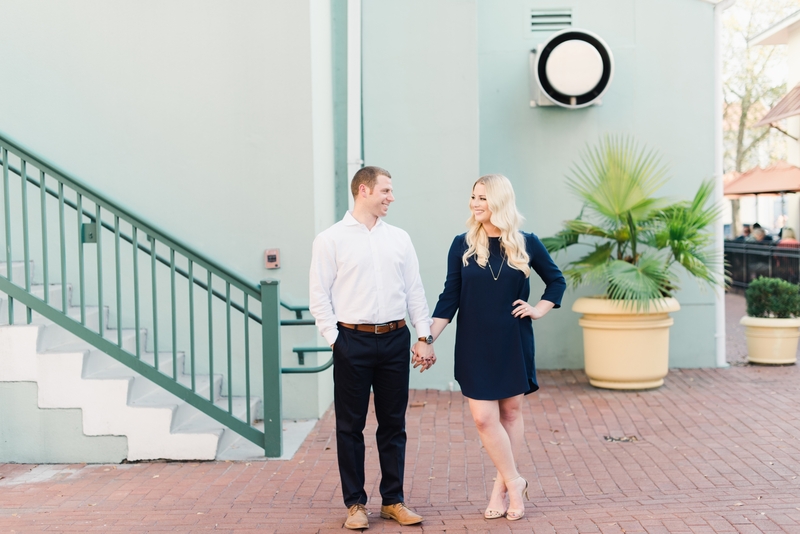 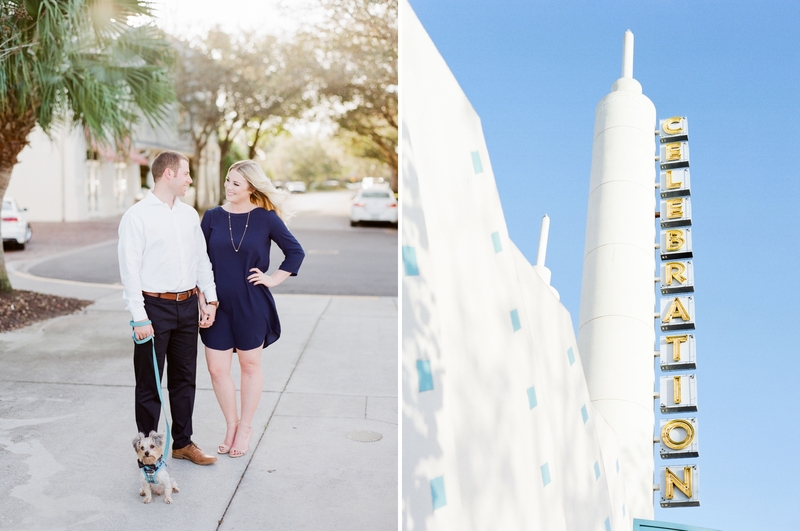 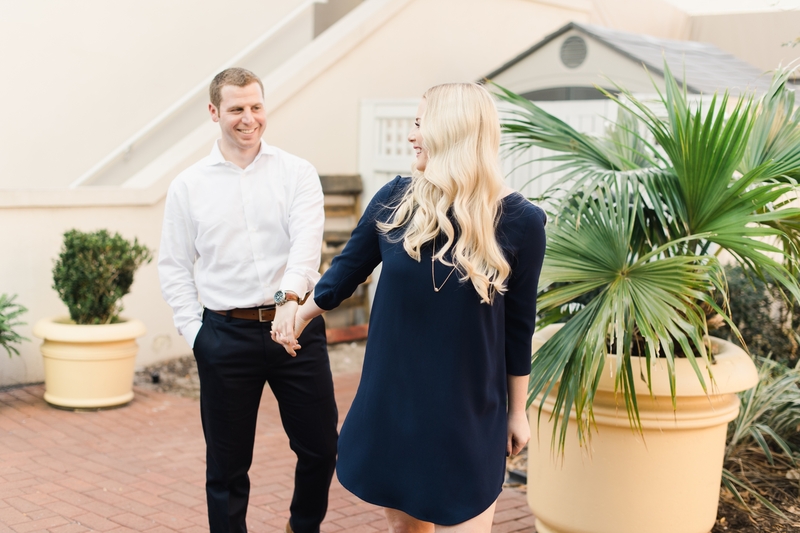 We are in love with Jessica and Anthony’s Celebration engagement session. 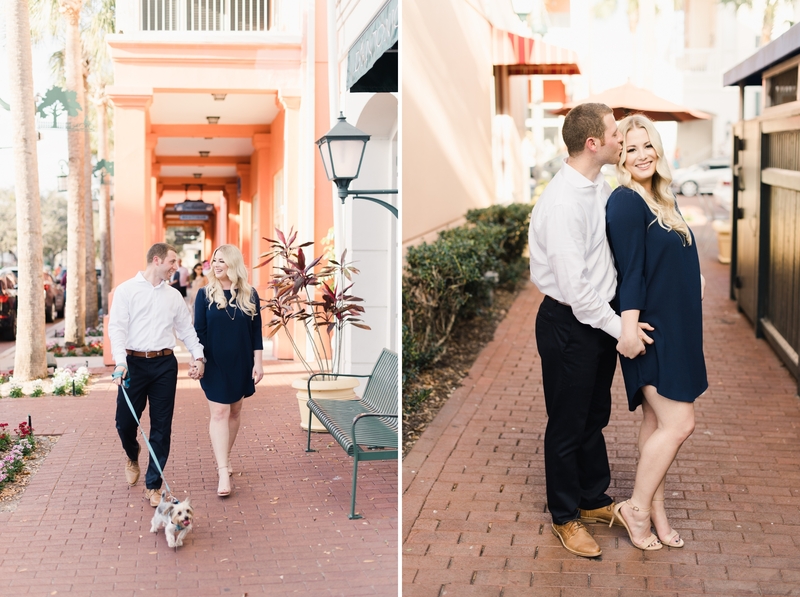 The colors and small town feel make you want to take a stroll and grab some lunch (which, I highly recommend eating at The Colombia! 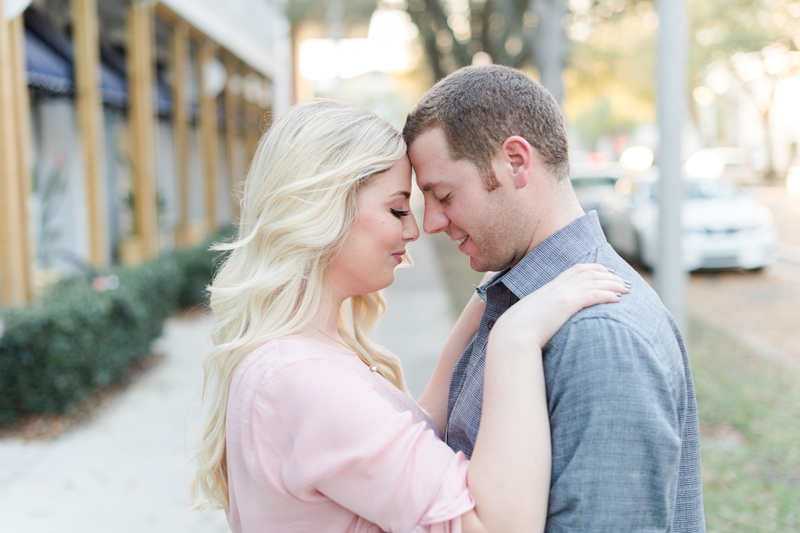 It’s my favorite!). 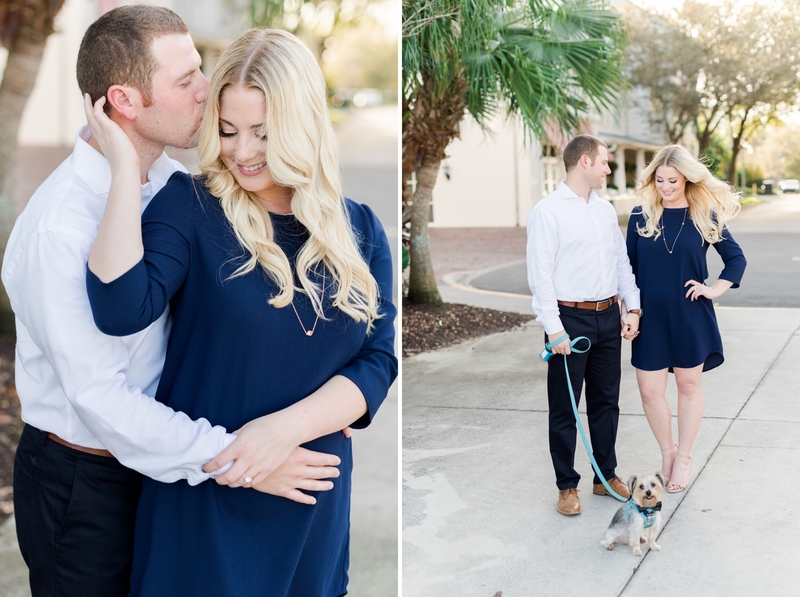 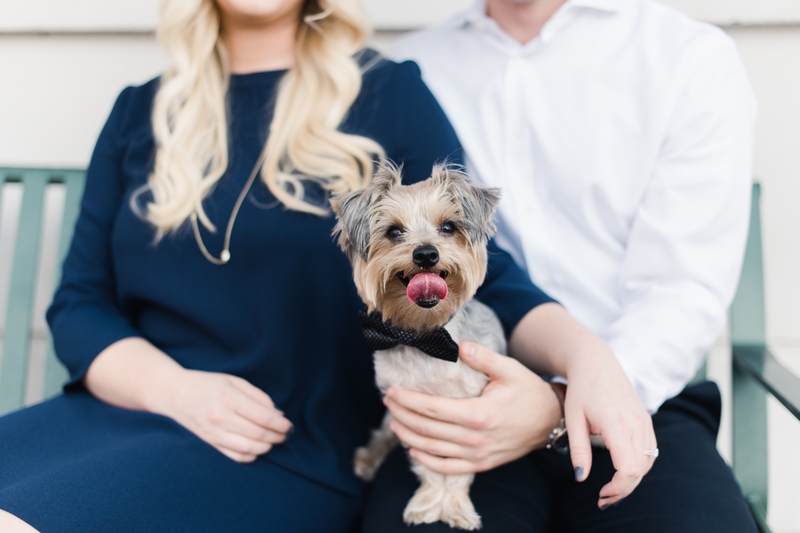 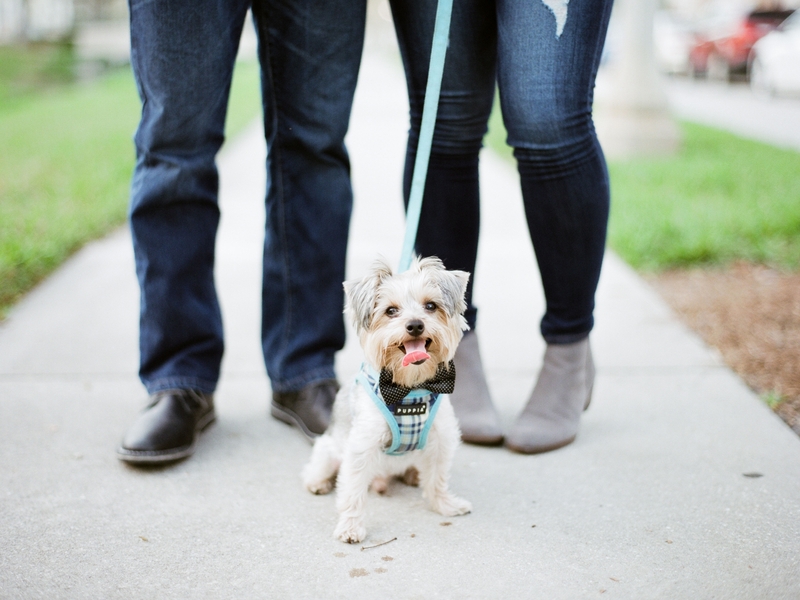 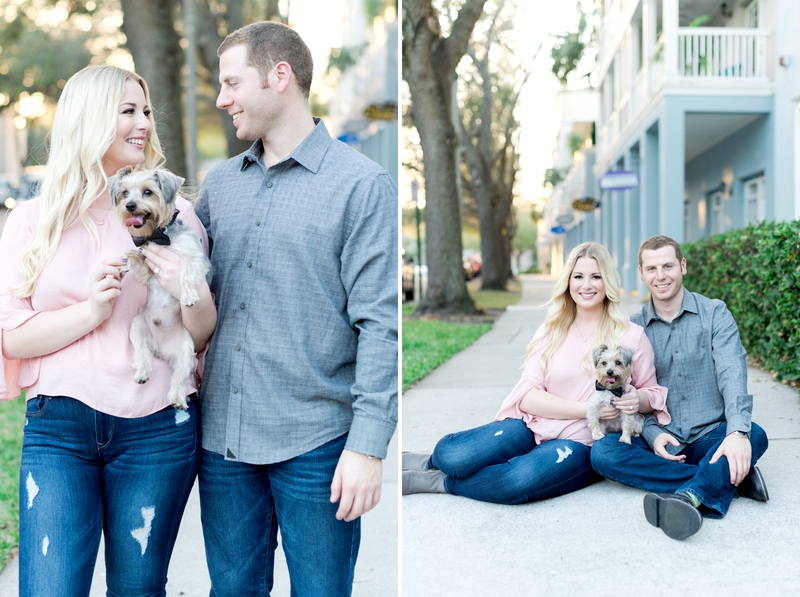 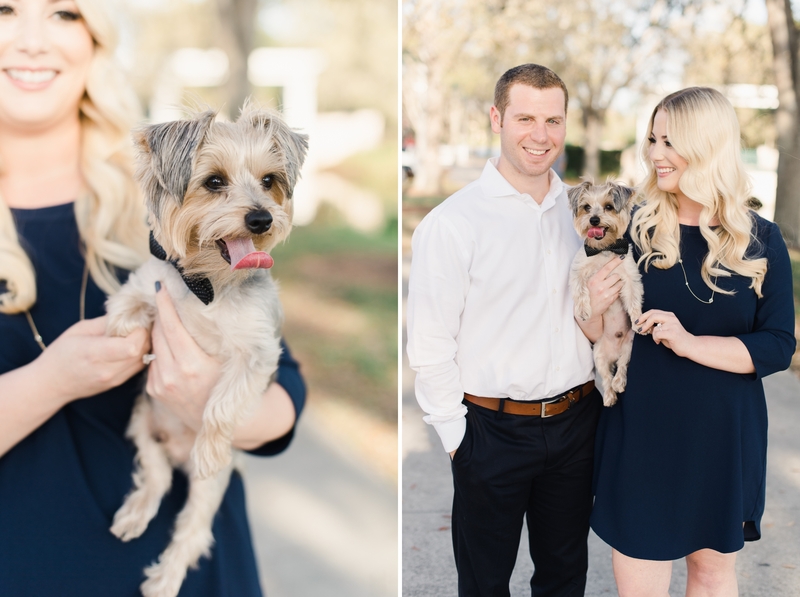 Jessica and Anthony wanted to shoot at a location that was meaningful to them for their engagement session so we met up with them in their hometown of Celebration with their adorable fur baby, Macho! 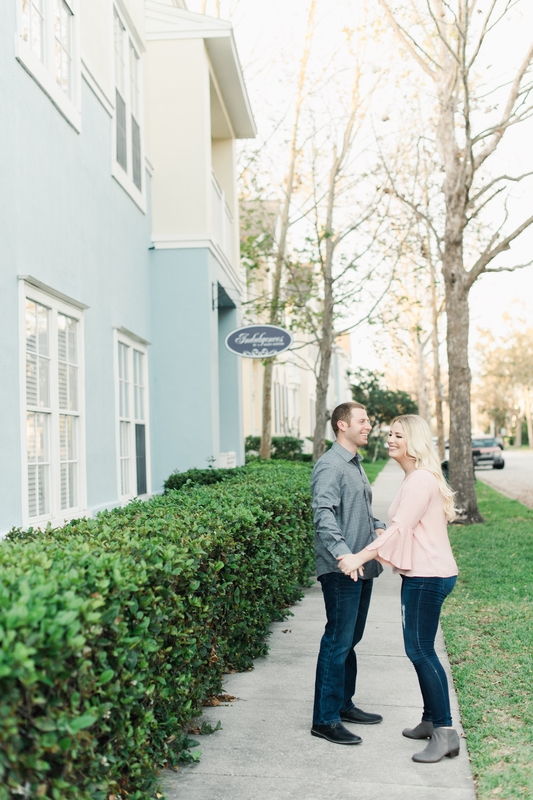 We walked around the beautiful downtown area and scoping out cute spots to get cozy in. 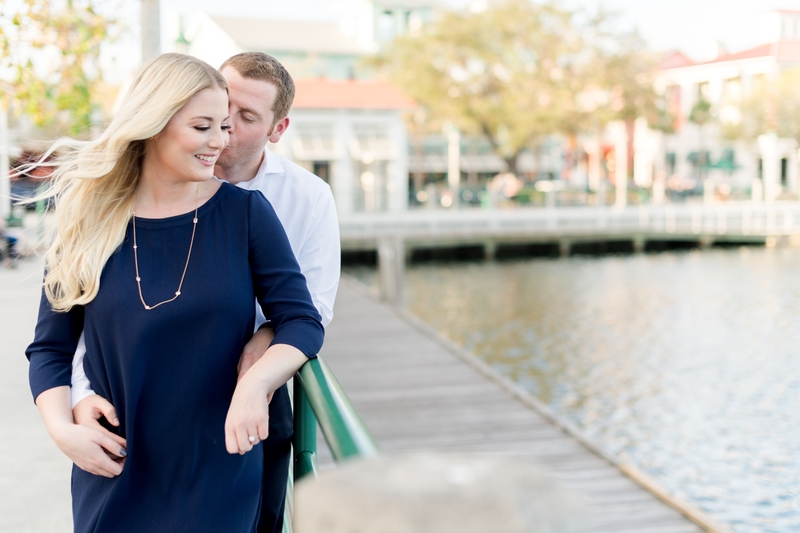 Anthony proposed on a trip with Jessica’s family to Turks and Caicos. 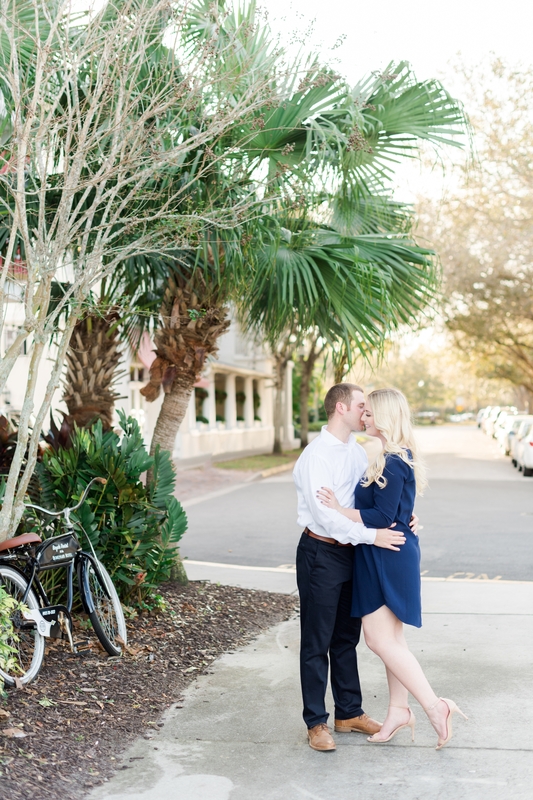 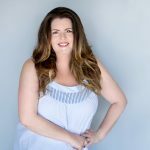 He organized a private beach dinner at sunset, when he got down on one knee as the waiter was taking their picture and completely surprised Jessica. 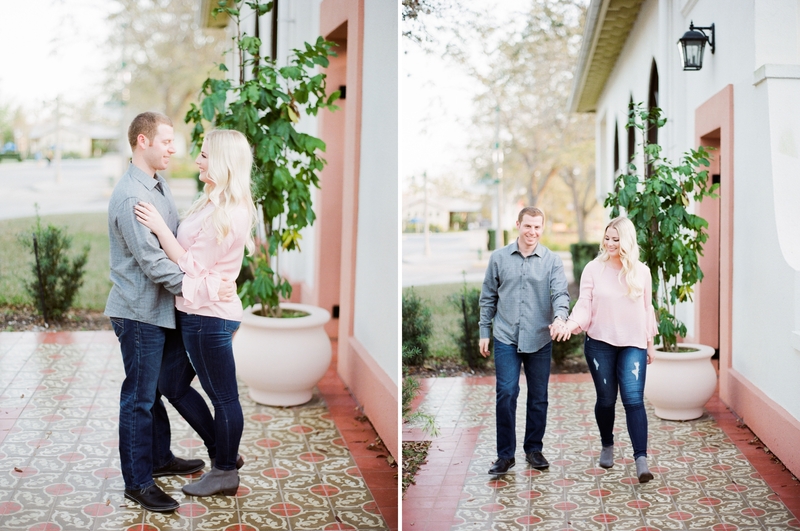 How romantic is that?! 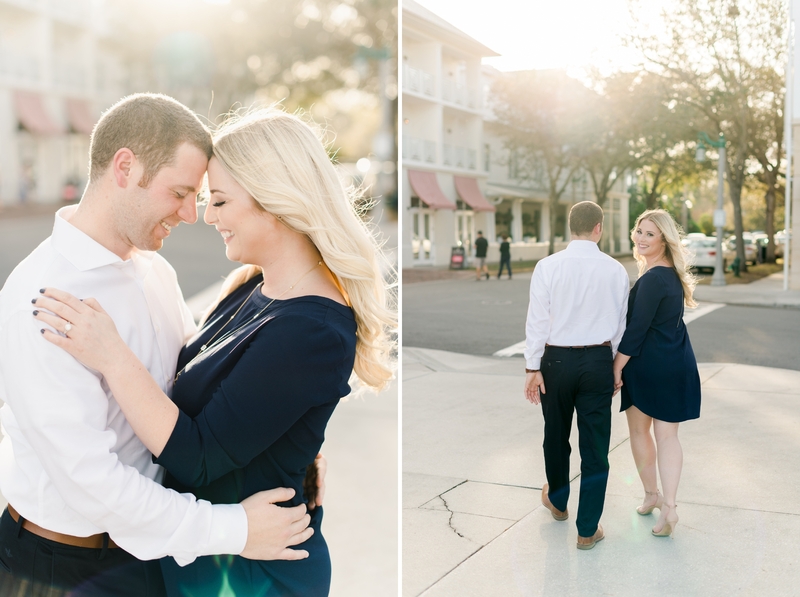 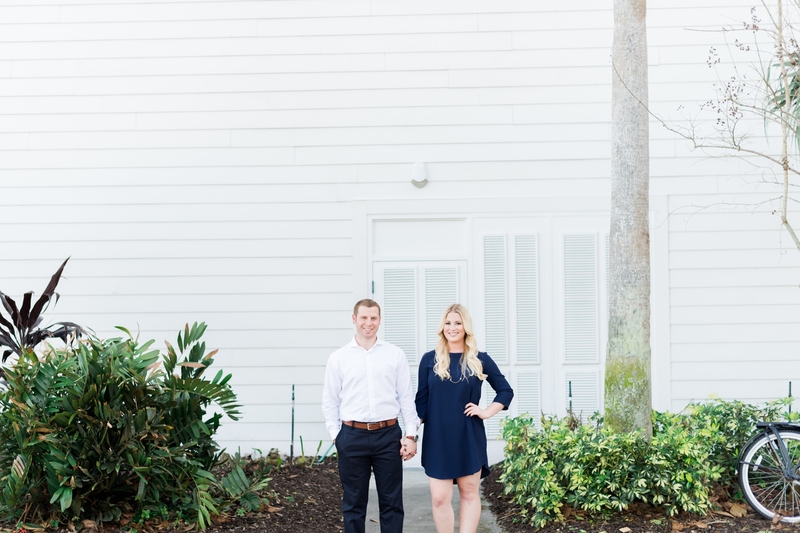 We are so excited about their upcoming wedding at Bella Collina next year!! 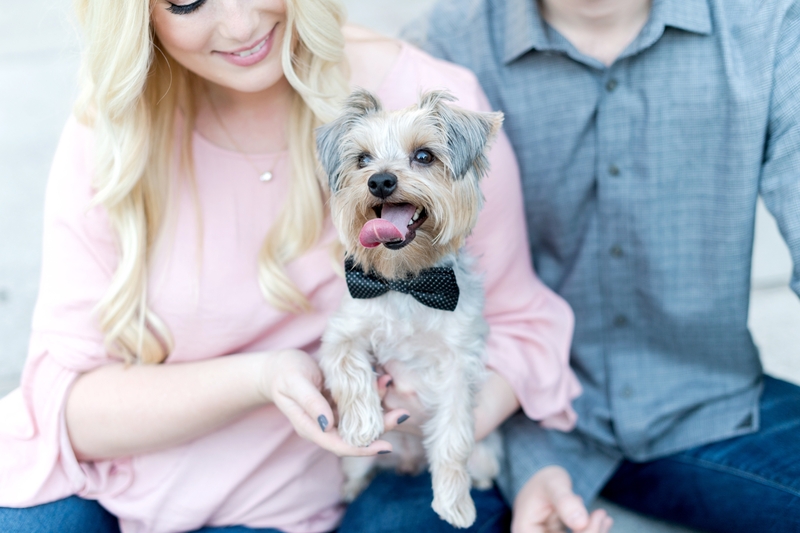 We have our fingers crossed that Macho will also be there. 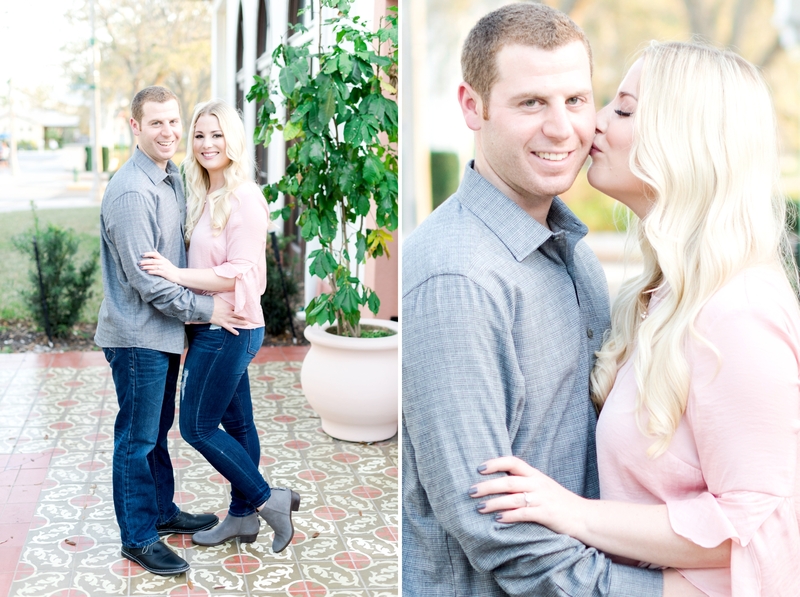 Congratulations again Jessica and Anthony.